I've always been a reader. As far back as I can remember, books and periodicals were a big part of my life. And it's all my parent's fault. They were (and still are) both readers - albiet two completely different types. I take after both of them. When I was growing up in Detroit, we had two, profitable, competing newspapers: the Detroit Free Press in the morning and the Detroit News in the early evening. My father - a skilled tradesman working for General Motors - subscribed to and read both, every day. Before he set out in the dark of early morning to drive 20+ miles to a factory floor he walked and sweat upon for 30 years, he would make his brown bag lunch on our rust colored Formica kitchen counter, his 6 foot 2 frame illuminated only by a single 60 watt bulb over the kitchen sink. Lunch made, Maxwell House coffee in his Thermos, he would kiss his still-slumbering family good-bye, and grab the Free Press off the front stoop as he made his way to the car. Arriving 30 minutes before his shift, he'd read it over coffee and a few Winston Lights. From back to front - every section, every day. When he got home, with the sun on the opposite side of the sky, he'd pass that same front stoop, and bend his now-aching back to pick up the Detroit News. Before dinner, he'd sit in at the kitchen table and once again over coffee and Winstons he'd read the paper. Back to front, every section. 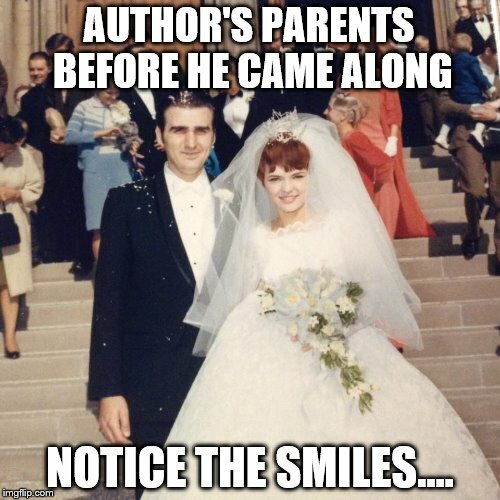 My mother loved fiction - the tales of Stephen King were a particular favorite of hers in my adolescence, but she went on "tears" with many authors, ravenously consuming an author's entire life's work within a few weeks. Since we weren't exactly the Rockefellers (or the Fords, which were the Detroit-equivalent), our books came from the library. My mother - three kids in tow - would go to the neighborhood library and spend hours looking and reading and testing out the books she wanted to read. Up and down the aisles she'd walk, with equals parts purpose and recreation in her stride. She'd eventually make her way to the front desk, her arms (and invariably the arms of her children) laden with hardcover and softcover books, and without fail, upon checkout, she'd be informed by the librarian that she had "late fees." She always had late fees - it was a bit of a running joke in our family. She was a WANTED woman, the library cops were after her all the time. To this day, my father jokes (having quit his Winston habit 20 years ago, thankfully) she can't go back to the old library, because she's on their MOST WANTED poster. Looking back, I know it wasn't anything to do with irresponsibility - my mother handled all the family finances with the aplomb of a certified accountant and she always paid the bills - even in tough years when people weren't buying Detroit's cars. If fact, if placed under oath before Congress, I'd have to say she's the most "responsible" person I've ever known. So why the fees all the time? I think it was simply because she wanted to read so many books she would check out way too many at once. Many more books than a mother of three growing and sometimes troublesome children (a mother who ALSO happened to have a SECOND full time job as a head teller of a small community bank) could ever possible find time to read in a fortnight. In any event, years later, when the show Seinfeld had an episode about a long overdue book and a library policemen, the entire Wyszynski family WAILED in laughter in front of our TVs. None more so than my mother. My earliest, personal memory of reading, of actually turning pages and reading words and understanding the story, was reading the book Danny and the Dinosaur. I read this book. And read it. And read it again. 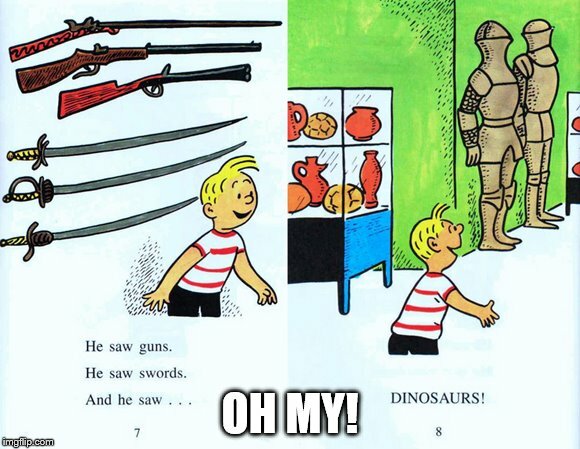 It's a story of a little boy who visits a museum (by 2017 standards a rather curiously well-armed one) and befriends a dinosaur. Now, my parents didn't preach or lecture about reading - there were no rules about screen time vs. book time. Truth be told, my parents had a hard enough time just holding down the fort, replacing cracked shower doors broken by two roughhousing brothers or replacing the living room carpet after their daughter moved the outdoor lawn sprinkler next to the open window. For two hours. Now don't get me wrong, they did read to me at bedtime - and I have a few memories (I think) of that. But two of the strongest memories of my youth are my father reading the paper and my mother devouring library books. Because of those memories, I am a reader. Today, I buy books online and download books and go to the library as well (yes, and get my own late fees - thanks Mom.) I read history and fiction and even historical fiction. I read the NYT, WSJ and other periodicals online, daily. I read blogs and curated news sites. I even read posts on LinkedIn. Sometimes. I subscribe to the Sunday Seattle Times, so on Sunday mornings you'll find me at my own kitchen table, with my own coffee (no Winstons) reading my own paper, every section, front to back. To all of this reading, my daughter bears witness. And Danny and his Dinosaur? Well, I've read this same book to my daughter hundreds of times. Not the "same book" as in "we bought that book that I read myself as a kid." I mean the exact same physical book, saved by my mother for over 40 years, which she sent over in one of her many "care packages" to our home in Metro Seattle. I've read it over and over and over to my daughter. And because she's now six, going on 36, she now prefers to reads it to me. It's funny, for my daughter's entire life I have read to her at bedtime. Some days I did it enthusiastically, and some days - if I am being honest - I did it begrudgingly. We all get caught up in the rigmarole of our daily lives and jobs and bosses and there were times I thought "I'm exhausted, I can't WAIT till she can read herself." And then before I knew it, while I was busy as John Lennon said, "planning other things", it happened. While I was incredibly proud the day she said "Daddy, let me do it!" and took Danny's story of imagination and friendship out of my hands and began to read it aloud to me, I felt a bit sad. Mind you, I don't mean the Hollywood-ish, close-up of me crying my eyes out over that REM song sadness. No, I think I mean the sadness that comes when you realize that an experience you've loved so very much - but often took for granted as it was happening - is now gone, maybe forever, and while you're happy at what's replaced it, you wish you'd spent more time respecting and appreciating that thing as you were experiencing it. So...today, I am a reader and NOT because I simply woke up one day and picked up a book all by myself. And I not a reader because I was forced or bribed or threatened into being one. I'm a reader because my parents were readers. 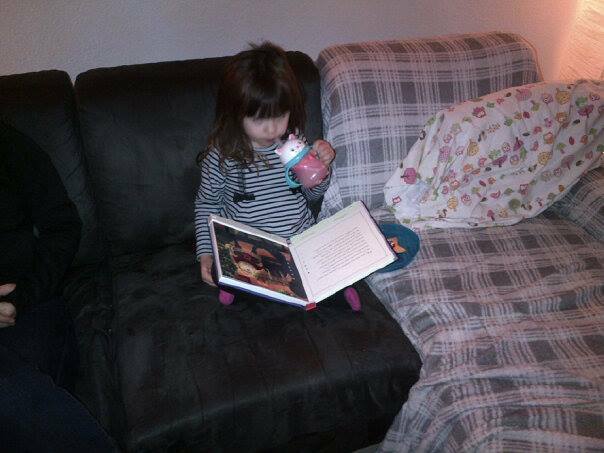 And now, my daughter, named after a heroine in a famous children's book, is also a reader. After all these years, I've come to believe, in the end, that's how it works. That's the only way it works. That's how we pass on the things we love to our children. That's how we pass things on to our family and friends and neighbors and coworkers and, yes, even customers. Not through instruction, or lecturing, or yelling or threatening. Not though setting unrealistic expectations or goals or punishing aberrant behavior. We pass things on, the most important things, by "doing" those things. And by those people we love, those people we respect, those people we care about, bearing witness to our "doing." I believe Story is the best way for humans communicate. In fact, if pressed by Congress again, I'd testify that it's really the only way we communicate. It's the only time we really "listen" to each other. Not facts, Not figures. Not statistics. Not value props or elevator pitches. Who really cares about any of that? Do you remember what percentage of people actually remember stuff told to them from statistics? It was the first thing I told you in this post. I quoted the London School of Business. Now, how about the name of the city I grew up in? Or the book I read as a kid? Or what my father did for a living. Which of those facts do you remmeber? To me, it's all about Story. Whether it be cave paintings in France, the latest JK Rowling book, an independent movie or a tweet from a politician, story is what connects us as human beings. On Wednesday, June 21, 2:00PM ET, I will be hosting a webinar I'm calling "StorySelling." I believe that any salesperson that wants to, using three basic types of stories, can better connect with suspects; strengthen relationships with prospects; and even influence customer behavior. I will also talk about what I call “micro stories” – short, emotional stories that can be interjected in any client interaction to make you and your brand memorable. And I'll talk about the different channels over which on can tell stories - not just the written or spoken word, but audio, video, memes, images...all of it is Story. If you're intersted, you can sign up with the link below.